Includes 11+1 Stainless Steel Bearings and a comfortable EVA grip handle. 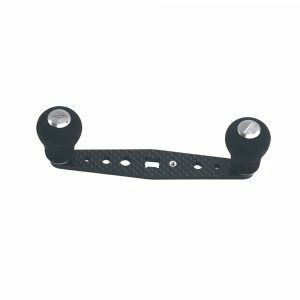 Comes supplied with one medium and one deep spool. Stainless steel bearings and graphite body. Slow oscillation system for improved line lay. Spools come with Tronixpro Spool Bands and reels come with a Tronixpro cloth bag. 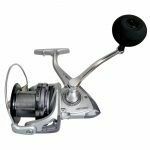 A fixed spool range aimed at the match or dedicated angler who fishes with long range, fixed spool surf casting rods and needs the flexibility of using different diameter lines. 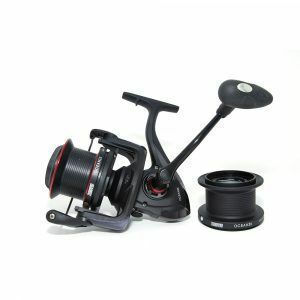 This is our most versatile fixed spool reel range, giving the angler endless options to suit each fishing situation. Virtuoso eliminates the problem of having to source expensive aftermarket spools for fixed spool reels. 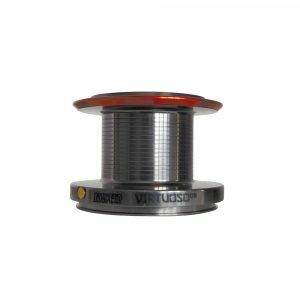 Virtuoso has an interchangeable range of spools that fit all our Virtuoso reels, all of which can be purchased separately. This allows the angler to easily buy, load and carry as many spools as they wish with all the line diameters they could ever want. Spools are colour coded, allowing them to be easily identified from the top down when in a spool case or box. There are five spools to choose from, from a deep spool through to a UL shallow spool. Virtuoso reels have been designed for saltwater use. They feature graphite bodies and stainless steel bearings which are corrosion resistant and saltwater proof. Each reel features a precise, micro adjustable drag so you can set it exactly to where it needs to be for the conditions and intended catch. Each reel also features a slow oscillation system that improves line lay and promotes line efficiency during the cast for longer distances.